Located under the glimmering Placa Reial, the gorgeous square full of restaurants, bars and clubs lies Les Quinze Nite, a gorgeous restaurants which literally translate into fifteen nights! With the cooling weather and bright and sunny sun the weather is perfect for alfresco dining, sipping a glass of wine while enjoying some people watching with those amazing fountains and trees. Putting on some shades you got the best of both worlds, great food great atmosphere! Sitting outside is a must! Just check out this amazing atmosphere! This trip have really been a long one, just look at the number of reviews and post I have! Regardless, I enjoyed myself throughout this trip and dread coming home instead, I guess this can be say as ” Wu Jiao De Xiao Niao” getting out of Singapore is all I ever wanted even though I love Singapore. Just to digress a little, soon I will publish a post about my fellow traveller, Amanda, sharing her travels and adventures with you guys, so stay tuned for that! This trip is long, but the sights are ever new and endless, Barcelona, may be known as the city of Catalan but another name for it will definitely be Gaudi City! Every steps you see, every street, every area, Gaudi products and master piece are to be seen. Antoni Gaudi, a Spanish Catalan Architect is famous for its style is unique, modern and individualized! Where he love to incorporate stained glass, ironwork and carpentry into his works. At his death, where he died in an tram accident, his most famous work remains unfinished, even up to today. As you may have know, Sagrada Familia, the most famous and visited attractions in Spain. Most of his works are a legacy, with 7 of them being UNESCO World Heritage Site, of course the only one that you definitely have to visit is this! Markets, can be said to be the most basic and common representation of the country or city culture. It is also the easiest way for the tourists and visitors to have a glimpse of the local lifestyle. Such as the “pa sat” we have in Singapore, markets is actually great and fun to explore! I would say that markets overseas can be separated in selling fresh produce or those with a combination with food stalls. Personally I will recommend going touring the market with a empty tummy, especially when visiting place such as Borough Market in London or La Boqueria! Beside these two, there are many famous markets in the world, such as Mercando San Miguel in Madrid, Tsukiji Fish Market in Tokyo or even Camden Market. Some of them may be just a wholeseller market like Tsukiji, but even that, there are usually good food nearby! Another market that is high on my mind would be Mercato Centrale in Florence. Having started this travelogue of mine about half a year ago, I do have to say that I am pretty pleased with the way how things are going, maybe just having a little trouble, having to control the amount of media on the blog due to limited space! The no. of viewers aren’t my primary concern but I do appreciate having loyal readers whom share the same interest as me and enjoy reading the way that I have been sharing these while. My key is still to document down all my travels and beside sharing, I hope I can recap my own travels! And my English language isn’t really good, which you guys probably knows other than my love for Champagne, Tapas and Premium Travels! Trotamundo Tapas Bar, my very first meal in Barcelona, started out as an mistake but turns out to be a blessing within the fault. Happy New Year Everyone! Barcelona of course! Totally suitable to recommend my accommodation for the new year ahead! Perhaps it’s time for you guys to plan a trip to this magical Gaudi city? Getting to the hotel, which was located near Plaza Catalunya and Passing de Garcia was a breeze! Being near these attractions was the greatest selling point of the hotel, this practically means that anywhere was within walking distance, the free use of your legs! 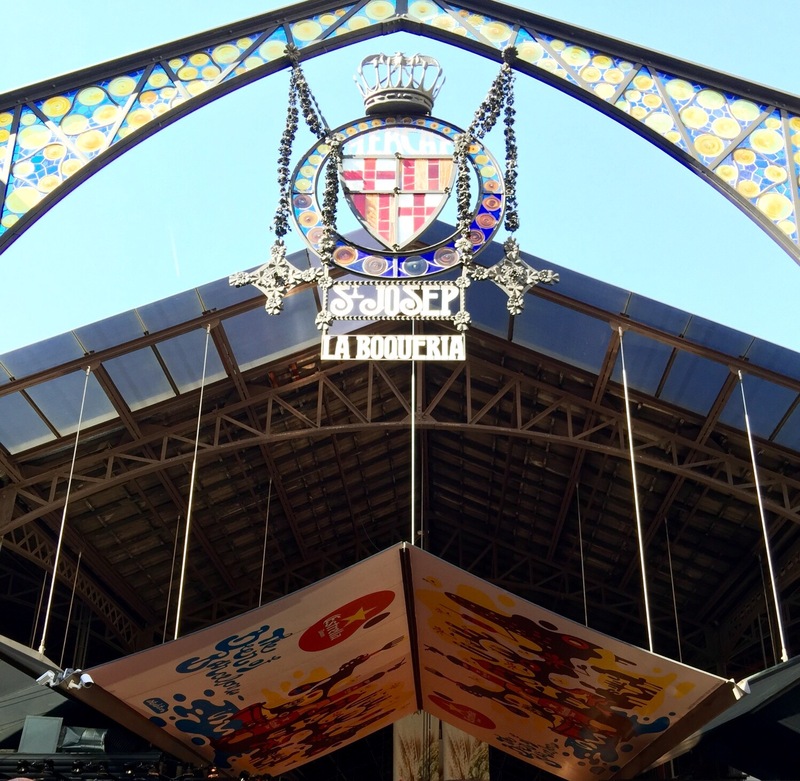 Las Rambles was a 5 min walk away and same was Mercat de Boqueria! The beachfront was also only slightly further down, even Sagrada Familia the furtherest was able to reach in 45 mins which is easy in the cooling weather! Currently I am having a little break from my national service which I will be travelling to Malaysia soon, life is pretty great at this moment now! Totally can’t wait to be checking out a place that I hadn’t been to in 8 years! Plenty of eating and catching up to do! Back to Barca, an gorgeous city and charming in Gaudi way, also known as Gaudi City! I had arrived at Barcelona Sants Station, Sants is huge and crowded being the main transportation hub of the city it is well connected to the public transport. If no fuss is the key to your travels, feel free to grab a cab here since I personally find that the rates in Barcelona are affordable and fairly priced! The fixed price from any place in town to the airport cost 29 Euros! Please do take care of your belonging here as it is known for pickpockets to target tourists here! A small tip for you guys, instead of taking the metro, I had opt to take the Renfe regional train which has a direct stop to Passing de Garcia, only one stop and the tickets are cheap too!